A ridiculous and over-the-top ad produced by a progressive non-profit blames Republican budget cuts for the Ebola outbreak in an attempt to deflect criticism away from the incompetent Obama administration. The Agenda Project is a progressive non-profit political organization founded in 2010 by author Erica Payne. This ad, featuring clips of Mitch McConnell, Pat Roberts, and many other Republicans implies that austerity cuts to the Centers for Disease Control and National Institutes of Health are responsible for the 2014 Ebola outbreak. 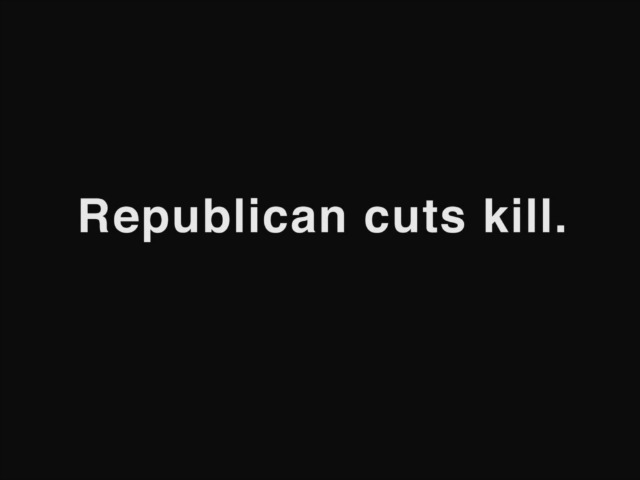 The ad, titled “Republican Cuts Kill,” will run in Kentucky and other states leading up to the election. Deflection and projection are time honored progressive political tactics. 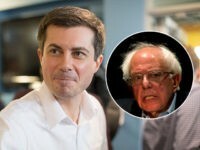 One of the best examples of this in American history occurred when the Democrat party as a whole accused Republicans of questioning their patriotism throughout the Bush years – while they were in fact undermining the Iraq war effort for political gain. It was complete manufactured outrage designed to deflect attention away from what they were actually doing. No prominent Republicans were questioning anyone’s patriotism at the time, (do a Nexus search, I’ll wait.) 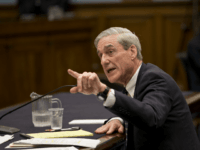 But that didn’t stop Democrats from making the charge over and over again in order to put Republicans on the defensive. The sad truth is, Democrats DID behave unpatriotically during the Bush years, as one of the squeakiest wheels, Hillary (“I’m sick and tired…”) Clinton, would later admit to former Secretary of Defense Robert Gates. In Gates’s memoir, he paraphrased Clinton saying in a meeting that she opposed the surge out of political expedience. He also paraphrased Obama during the same meeting as “vaguely” conceding that his opposition to the surge was politically motivated as well. Because they saw the Iraq War effort as an issue on which to divide Americans, Democrats opposed and tried to hobble the military strategy which despite their best efforts, led to our ultimate victory in Iraq. That to me is the very definition of unpatriotic. 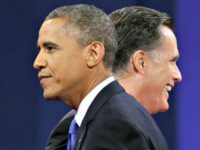 Ironically, (or perhaps I should say predictably) once they were in complete power, high ranking Democrats like Harry Reid, Nancy Pelosi and Henry Waxman didn’t hesitate accuse Obama’s critics of being unpatriotic or unAmerican. Now, as Americans watch the Ebola horror show unfold in their own backyard, Democrats fear that the Obama administration (and by extension – Democrats) will get the blame for refusing to ban travel from Ebola infected countries – the one thing that could prevent a serious outbreak from happening here. So craven Democrats have whipped out their left-wing playbook and are using the deflect and blame method of political warfare. Echoing the Agenda Project ad today were Donna Brazile, Joan Walsh, and the always pathetic Paul Begala – who also found a way to blame Bush for the Ebola outbreak. The problem of course is – they have no point. Their charge has no basis in reality. Nick Gillespie dismantled their argument decisively at Reason. Spending grew rapidly under full GOP control and then leveled off at high amounts once divided government and the fiscal crisis kicked in. The report notes that “Pandemic Preparedness funding through the GHP account totaled $50 million, a decrease of $22.5 million (-31%) below FY14.” Let’s stipulate two things. First, $50 million is both a lot of money and not a lot of money in terms of federal spending. I doubt anyone seriously thinks that spending more in the year to come would have stopped Ebola outbreaks that began in fiscal 2014. Second, the requested decrease is in President Obama’s budget. Is he a Republican now? Then there’s the National Institutes of Health (NIH), whose role in developing new medicines and interventions has been supposedly destroyed by cuts over the years, right? According to its budget documents, the NIH got about $23 billion in fiscal 2002 (George W. Bush’s first budget year), a figure that rose to $30.2 billion in 2009 (his last budget year) before peaking at $31 billion in 2010. It dipped a bit from then and came to $30.1 billion in 2014, which is about the same amount the NIH requested in President Obama’s 2015 budget plan. Nevertheless, in a move that adds to suspicions that all aspects of Government under Obama has become hyper-politicized, Dr. Francis Collins, Director of the NIH, outrageously claimed that an Ebola vaccine would probably have been developed by now if not for budget cuts. Is there anyone out there who would argue that that $1.5 million would not have been better put to use developing an Ebola vaccine?